Copyright © 2004-2010 Puppy Jone Inc. All rights reserved. 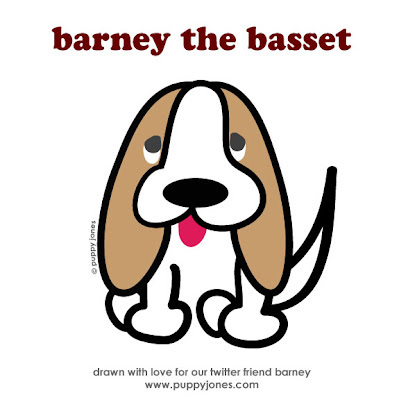 My drawing was inspired by Barney's puppy photos. Dave helped me to refine the drawing (as he always does). We hope you like it Barney! Since then we've actually received a few more requests and VERY flattered about that. However, with our busy schedule we decided we'll save this for a contest in the near future. Make sure you check out Barney's website, especially his 'funny' album . Click on the links below to view blog entries written by Mummy or Daddy.